Playing First Witch in the upcoming Theatre; Just Because production of Macbeth is Brieanna McCutheon! Brieanna was born and raised in Edmonton, Alberta and grew up loving soccer and track. She always enjoyed competitive sports but never did anything with it for a career or post-secondary. For college, she went to school at NAIT (Northern Alberta Institute of Technology) and received her Diploma in TV Broadcasting. It was near the end of getting this diploma that she thought that she would like to pursue acting. What's your experience with community theatre in Fort McMurray? Why did you audition for Macbeth? “I am a firm believer in challenging myself and always seek to learn from my experiences. I knew nothing of Macbeth or Shakespeare going into this, and knew our Director Justin would be able to hold my hand through this process which is what I needed. So basically, I did this to challenge myself and to keep my acting muscle flexed. If you don’t use it, you lose it” she says with a laugh. You play the First Witch, what inspires you in this role? “Prior to the auditions I was leaning towards wanting to play Lady Macbeth since she is this twisted, dark, and complex villain-like character. I liked the challenge of her. But after I read the play in more detail, First Witch really stood out to me. It was while I was reading the First Witch words, I found the voice for the character and had a big connection to them. My mom would always joke that she was a witch when I was younger. I knew she wasn’t, but I guess that inspired me, along with Meryl Streep (Into The Woods), Mitchelle Pfeiffer (Stardust), and Anjelica Huston (The Witches). What are you looking forward to the most with this production? We are thrilled to work with Brieanna on our upcoming production of Macbeth! Playing at the Keyano Recital Theatre May 23-25, 2019. For more information, click HERE. At Theatre; Just Because, we couldn’t be happier to be working with Jenny, and her daughter Kat! Come see their performances in the Shakespearean tragedy Macbeth directed by Justin Shaw, playing May 23-25, 2019 at the Keyano Recital Theatre. For more information, click HERE. Radio personality and community supporter Mike Jones is a well-known face around Fort McMurray; he’s been is several Theatre; Just Because dinner theatre productions and Keyano Theatre plays, he’s emceed and organized events all across the region, and is a champion of the local music scene. This year, he’s taking on a new role, as one of the Community Directors for Theatre; Just Because’s productions in the Acting Out! ADFA One Act Theatre Festival in celebration of our 5th anniversary! This is Mike’s first time directing, and he’s tackling a play he wrote himself: What Time Does the 3 O’Clock Parade Start? - an hilariously fast-paced farce set in the colorful office at the amusement park Happyland. “This farce was born a few years ago at a script-writing workshop. I had stumbled across the title while reading a blog about Disneyland and instantly thought it was a great title of something I wanted to see. Some of my favorite farces are the kind where you’re just overwhelmed (and a little confused) by the whole process so I started by writing a synopsis and I threw everything but the kitchen sink at the main character. Then, I started writing. Initially I decided to apply to the Community Directors program because I wanted to see this script come to life, but I didn’t think I had the chops to pull it off. It took a lot of convincing and persuasion from some close friends of mine to just go for it. 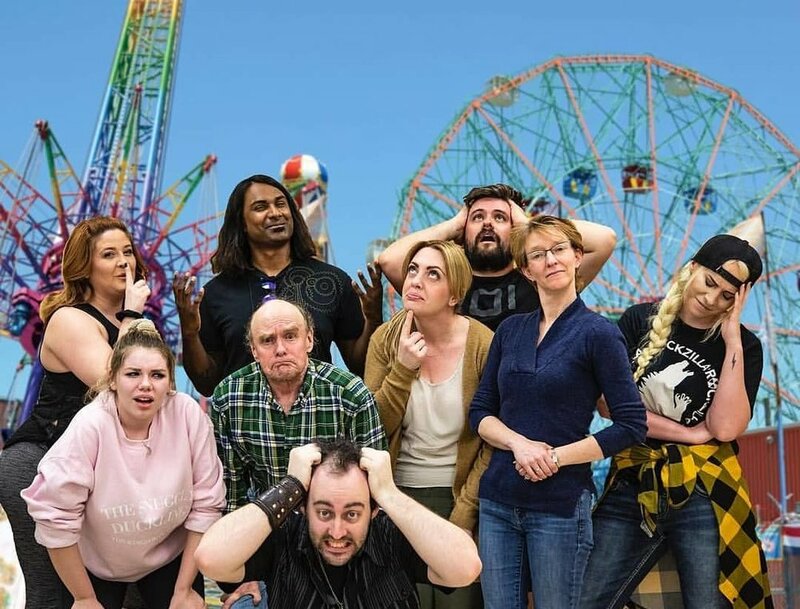 Experience Mike’s directorial debut on April 13, 2019 at the Acting Out! 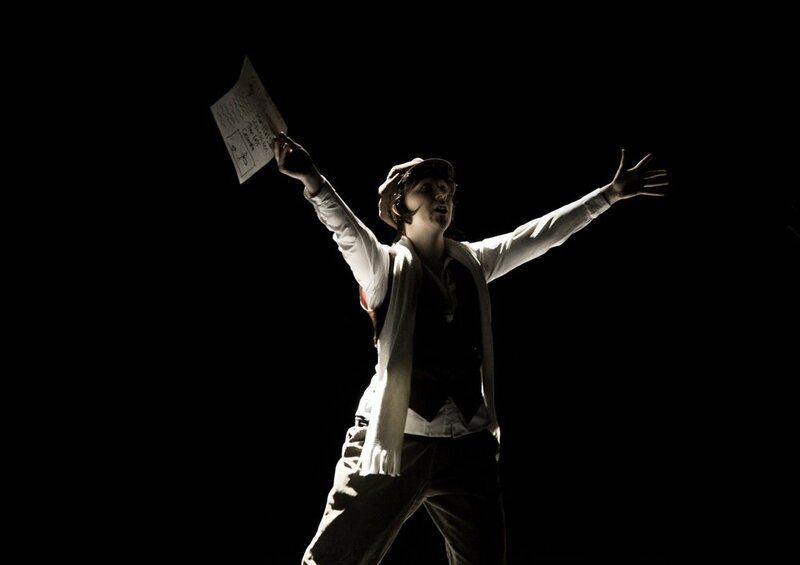 One Act Theatre Festival, held at the Keyano Recital Theatre in Fort McMurray.